Milk : It Does a Body BAD! If you’ve seen Bhaag Milkha Bhaag – the actor who plays legendary athlete Milkha Singh – you’ve seen him downing copious amounts of cow’s milk. And to that, more and more doctors and nutritionists are saying, “Two thumbs down”. The human consumption of animal milk is not good for animals or athletes. It’s high in fat and cholesterol, and it has been linked to heart disease, cancer, diabetes, asthma, allergies and even osteoporosis in humans. What’s more, more than 68 per cent of milk in the country is adulterated, according to the Centre. Adulterants include dirty water, detergent, fertilizer and bleach. Cow and buffalo milk is intended to meet the nutritional needs of calves, not humans. According to a recent report by Dr. Mark Hyman, a family physician and bestselling author, humans have no biological requirement for cow’s milk. It’s no more natural for people to drink cow’s milk than it is for us to drink rat’s milk or dog’s milk. We’ll all be better off when we wean ourselves from animal milk and eat healthy vegan foods instead. Plant-based foods contain plenty of protein, calcium and other essential nutrients but not the cholesterol or excess saturated fat found in meat, eggs and dairy products. Many top athletes tout nutritious vegan foods, including tri-athlete Brendan Brazier, marathoners Scott Jurekand and Rich Roll and Olympian Carl Lewis, who says that his best year of track competition was the first year that he ate a vegan diet. You, too, can be a champion, not only in your sport but also for animals and the environment, by going vegan! If you like the taste of milk, try soya milk. Popular brands such as Staeta, SoyFit and Silk are available in delicious flavours, including kesar pista, chocolate, vanilla, banana and strawberry. You can even try tasty badam milk and coconut milk in drinks and recipes. 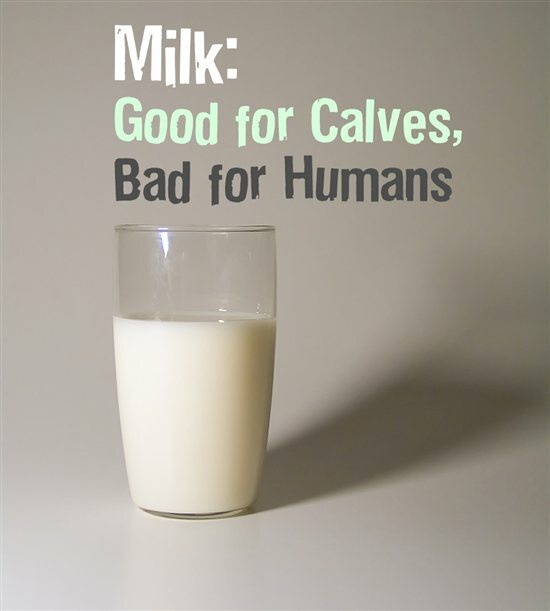 The human consumption of animal milk is not good for animals or athletes.